If you have any questions about the MAYAN QUEEN IV information page below please contact us. This motor yacht MAYAN QUEEN IV is a 92 m 302 (ft) imposing steel vessel which was made by Blohm + Voss Shipyards & Services and conceived by Blohm + Voss and Tim Heywood. 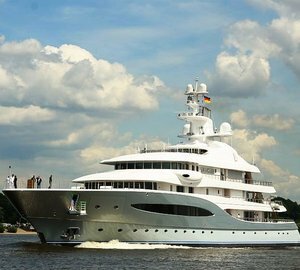 A considerable full displacement yacht MAYAN QUEEN IV is a very high quality German built superyacht which was launched to completion in 2008. Sleeping 16 guests and 24 crew, motor yacht MAYAN QUEEN IV was formerly (Project Safari) which was her shipyard project name and/or actual name. The yacht is a recent full displacement yacht. 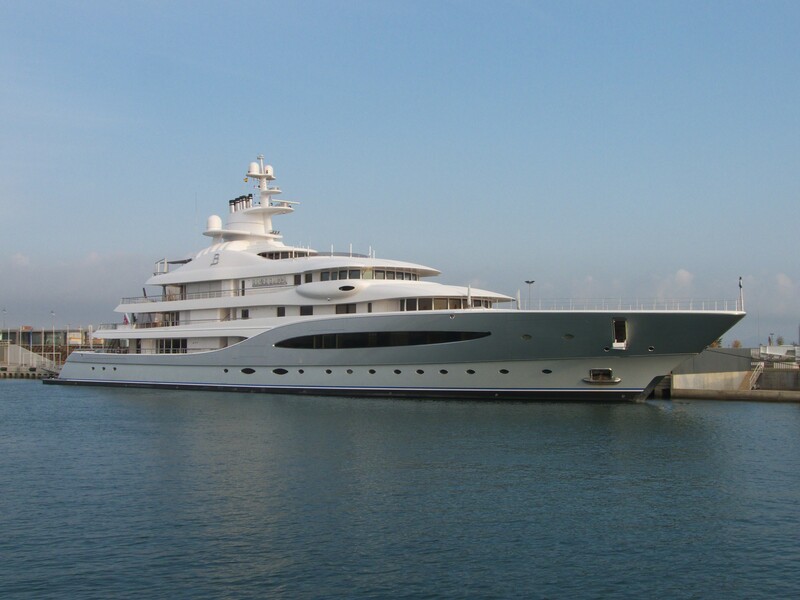 It has been reported that The Mayan Queen IV was commissioned for the Mexican businessman Alberto Bailleres who is the chairman of metals and mining group Industries Penoles which is the leading Latin American producer of refined gold, lead and zinc and the world’s top producer of silver. 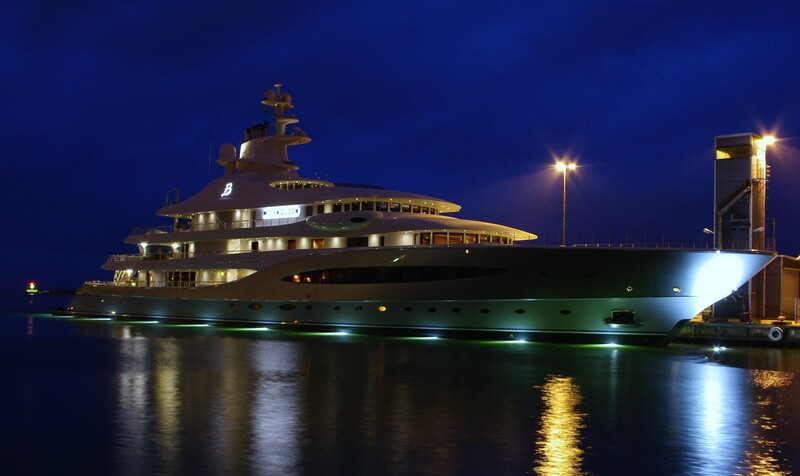 The megayacht is piloted by Richard Kirkby who used to pilot on of Roman Abramovich’s super yacht Le Grand Bleu. Blohm + Voss was the naval architect involved in the technical superyacht plans for MAYAN QUEEN IV. Blohm + Voss and Tim Heywood is also associated with the yacht general design work for this yacht. Germany is the country that Blohm + Voss Shipyards & Services built their new build motor yacht in. 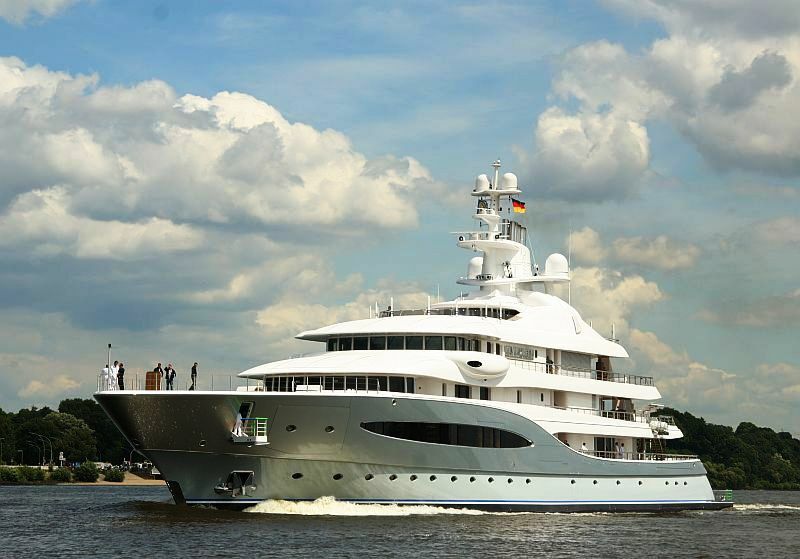 After her official launch in 2008 in Hamburg she was thereafter handed over to the owner following sea trials and testing. The core hull was constructed with steel. The motor yacht superstructure component is made extensively using aluminium. 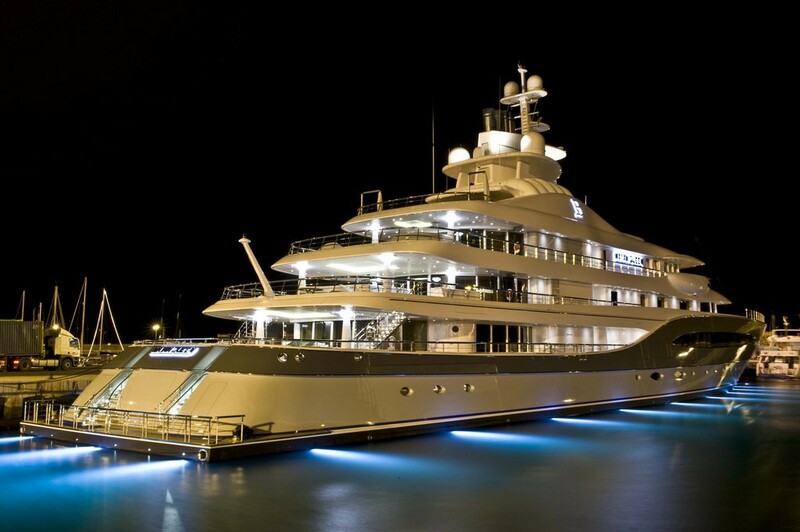 With a beam of 15.9 m or 52.17 feet MAYAN QUEEN IV has sizeable room. She has a reasonably deep draught of 4.25m (13.94ft). She had refit improvement and modification completed in 2009. As for the yacht’s stabalisers she was supplied with Quantum Zero Speed 4 Fin. The considerable luxury yacht M/Y MAYAN QUEEN IV can accommodate a total of 16 guests in addition to 24 crew members. 92 metres / 301.84 feet. Valencia. Spain. Província de València. Region of Valencia. On October 2009 MAYAN QUEEN IV cruised to Groa de Murviedro, in Spain. This motor yacht has cruised the area encompassing Província de València during October 2009. The luxury yacht MAYAN QUEEN IV displayed on this page is merely informational and she is not necessarily available for yacht charter or for sale, nor is she represented or marketed in anyway by CharterWorld. This web page and the superyacht information contained herein is not contractual. All yacht specifications and informations are displayed in good faith but CharterWorld does not warrant or assume any legal liability or responsibility for the current accuracy, completeness, validity, or usefulness of any superyacht information and/or images displayed. All boat information is subject to change without prior notice and may not be current.